Stellar Phoenix has a wide range of software that assists in recovery of data from corrupt, formatted hard drive. Lost access to a folder following an XP reinstall, Stellar came through and saved me hours of rework in the event the data was permanently lost. Great product! 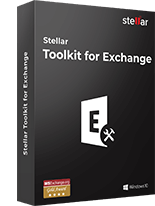 Stellar Phoenix is a must have product for every Windows user. I had used this software in past when I lost all of my photo's from D drive. I request for help in one forum and I found This software from there. Firstly I had tried Trial version of this software and after confirming that I can recover all of my photo's I buy this software and get all of my photo's as it is . I had buy the old version But this is better one. This is great! I always thought that once it's deleted and your trash bin is cleared out that it is gone forever. I wish I had known about this years ago. I'm going to have to pick this up. I Used Stellar Phoenix on the recommendation of my friend when I lost accidentally lost my data from a crashed hard drive. I went to Stellar website I download the software name Stellar Phoenix Windows Data Recovery Software(v 4.1). I used and I get my lost data. The speed to recover data and features is very decent to use. 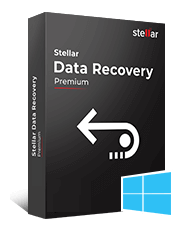 Hey I had used Stellar Phoenix Windows Data Recovery Software version 3.1 some time ago when I lost all of my office documents accidentally this software definitely save my business and my life too. I don't know which version is currently updated but I recommend this software by my heart. A friend of my wife had XP behave awkwardly on her laptop. She purchased an external hard drive and had someone copy files over before doing a deep format and installing XP. However, somehow her private photo album (of four years) never made it. My wife asked if there was anything I could do, I didn't think so. Phoenix recovery tool, however, made the process possible. I had an installation problem, but the customer support was very helpful. I recommend using this tool. It gets the job done. You tolerate the inconveniences when you are doing the "impossible". 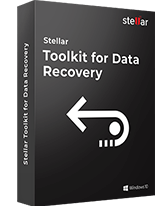 As a computer technician, I have been using the Stellar/Phoenix recovery software for about 5 years, this newest version really hits a home run! Easy user interface, and 100% recovery of failed raid array. Thanks for a great product, you make my job easier, and really make my business shine! "But this computer only prints the labels we put on all our packaging! You mean we were supposed to backup that hard drive too?" That's the story that came with the PC that unexpectedly arrive from one of our satellite warehouses. Stellar Phoenix Windows Data Recovery was able to quickly recover all the contents of the corrupted hard drive for transfer to a new drive. The system went back into production the next day. Thanks to Stellar, we only had one business day of downtime versus the days it would take a recovery service to get around to doing the same thing at four times the cost.. Your software worked flawlessly. I had a boot drive that would continually loop and go into "safe mode" upon boot up. I could not boot into DOS to see what was out there. As a matter of fact, when I placed the drive in another machine and tried to access it, the drive was not recognized and I was asked to format it. I thought for sure this drive was trashed. I had over 3gb of photos on this drive. I first ran the free version on the faulty hard drive to see if it would even find what I was looking for. After it found what I was looking for, I purchased the full version and recovered all my data easily. Your software was very easy to used, and I would definitely recommend it to others. Kudos to all involved. I am very pleased to inform you that the Stellar Phoenix Windows Data Recovery was able to recover files from my Western Digital removable hard drive very quickly and without any problems. I was afarid that the data would be lost for ever. I contacted a technical support team on our campus for some help; they were unable to recover it even after taking the hard disk apart. They suggested sending the crashed hard drive to a data recovery service center and also warned me it might cost a lot of money (ca. $1000) for a succesful recovery. I was not too eager to spend so much on this type of service and began surfing the internet for data recovery software. After purchasing and downloading the Stellar Phoenix Data Recovery software, I recovered my files within minutes. It cost me only $99 insted of $1000 or more. I am very pleased with the software and would recommend it to others without hesitation. I wanted to thank you so much for the help that your support provided over the past two days. I was able to recover all of my data. Most importantly a large project I would not have been able to recreate in time for my presentation. Your support staff was very patient and helped through a very stressful time. Thank you very much. My wife has been logging the sayings of our 7 grandchildren for the past 8 years. Recently, when I upgraded her operating system to 10.3.9 that file was on her desktop and had not been backed up. We thought if was gone forever. Needless to say, we were distraught. Thanks to you and your wonderful Stellar Mac Data Recovery I found it and successfully recovered it. A great value and the ease of its use is remarkably easy and seamless for the non-GEEK type such as me. You are to be commended. You saved a 41 year marriage. I have a 1TB drive in 2 partitions that wouldn\'t mount. The computer said the drive was unreadable and needed to be initialized. Disk Utility and Disk Warrior were of no help. They both saw the drive as a single 1TB drive which I couldn\'t access. Then here comes Phoenix. It located the missing volumes and so far, all the data that was on the drive. I\'m in the middle of two important projects and not all the files were backed up yet. I am impressed. I´m happy with about 70% of damaged files was back to life. I working with Quicktime movies, they did not going back to 100% normal QT useable ***.mov files. I needed another refine work at Apples Compressor. So now I´m happy with the job. Keep on your good working folks. Have a nice day! The free trial, where a prospective customer can see exactly what your product can do, is brilliant! There is no question, really, about what the program can do. Of course, some files may not be recoverable, but the scope of the program's efforts is quite clear. Other products claim to be able to recover files from a disk that is damaged, but in reality do not even try. Thank you for a wonderful product that recovered irreplaceable files from a hard disk that would not even mount. I hope I never have to use your product again (I back things up much better now! ), but I derive a lot of comfort from knowing I have it if I need it. The product was installed and run by the Pros at All City Computer in Manhattan Beach. I thought that I would never see the photos that I lost in iphoto and the product that All City installed from you found the majority of photos. I just bought your software and it really saved me. My original external drive was formatted for mac files then I accidently partitioned it for PC format today. That is when I lost all my files and data. Fortunately with your program it rescued them. As per your instructions I copied the rescued files to a new external hard drive. "One of the only "macintosh" based recovery software that actually worked. Plus, the support team was very efficiant and quick to respond w/answeres to questions." "It really did get EVERYTHING back. Also, got GOOD support from the team via e-mail..."
"It Works as described and its recovery of files is not destructive to the origonal data"
"it saved me when my hard drive died"
"It is easy to use and has good result"
"it recover my important data." "It successfully accessed, and recovered information from, a drive I couldn't even mount." "It did what it said it would do." "I'ts very easy to use, and recover data." "it works fine in seval occasions." "It helped me recover erased images that were deleated by mistake." "It is the only software wich recoverded my Data with every Name." "Finds partitions easily and builds them quickly." "Recovery results, better product than ******* ****** for MAC." AFTER TRYING A FEW OTHER FILE RECOVERY PROGRAMS, I REMEBERED I HAD DOWNLOADED STELLAR PHOTO RECOVERY IN THE PAST. I HAD JUST SHOT A WEDDING AND THE IMAGES BECAME CORRUPTED (TRUNCATED) DURING UPLOAD TO MY MAC FROM EYE-FI CARD. I GOT THEM ALL BACK! THANK YOU! NOT ONLY AM I THRILLED, BUT THE BRIDE WILL BE TOO, ALTHOUGH SHE'LL NEVER KNOW YOU GUYS SAVED THEM FOR US! I just want to say thanks for a reasonably priced piece of SW that was able to recover my lost .jpg's on my SD card. The interface was easy and the restoration perfect. I was frantic over the loss of these pictures was absolutely delighted with the recovery provided by your software. I had recently done a photoshoot for a client after getting home I began to upload my photos and bam! I lost all the files due to a corrupt file in the card. Needless to say I was very stressed out and upset. I scoured the internet to find something that could fix it and ran across a forum praising this program. The recovery rate I had off my SD card was 100% amazing program! I recently lost over 500 images on a corrupted SDHC card. I tried five other image recovery programs, with no luck. I had just about given up any hope of recovering them when I found your program via a Google search. To make a long story short, your program recovered all the images, perfectly intact, including all the jpg and RAW files. I\'ll be spreading the word about your great program. Thanks for this software. I was able to recover my son's pics from his deployment. Some of these pics were of good friends who didn't make it back home. Thanks again. Just wanted to send a thank you to your company for having a product that worked so well. We had taken some friends to Disney World in January and the SD card they had in their camera stopped working and they thought they had lost all their photos from the first few days of our trip. Fortunately after searching the web for help, I came across the Stellar Phoenix Photo Recovery program and it worked wonderfully. It recovered all the photos on the card. Thanks for saving our memories! I would definitely recommend this software. Hi there, I just wanted to thank you guys! I purchased StellarPhoenix after accidentally deleting photos of my first newborn baby!! and I was able to recover my priceless photos 24 hours (no sleep!) later after using your software, so thanks very much! I dont know if you have testimonials on your site, but i am very very happy with the software i purchased - i had a corrupt memory card from my holiday in Barbados with the family and lost 100's of photos, and other software did not recover them. I downloaded your software then saw them all beign recovered - very very happy! Thank you for your excellent software which helped me recover 99% of the photos on my camera card after I had mistakenly reformatted it. I had first downloaded your competitor's software (LC Technology International) and it failed to do the job. But your software worked perfectly. My daughter had a hard drive with over 3gb of photographs. The HD was not bootable. I connected her HD to my PC, installed the demo software, and it found the pictures. Purchased the software, retrieved the data, and everyone is happy. Exceptional product. A data recovery company was going to charge $500, and they could not guarantee the retrieval of the photographs. Stellar Phoenix Photo Recovery is a wonderful product .I was amazed when all my pictures were so easily and efficiently retrieved. When my wife accidentally formatted the hard drive, I knew that my favorite photographs taken during my trip to Colorado would simply get deleted but my heartiest thanks to Stellar that they gave me back the photographs that were so dear to me.....Great job....You have my vote..
Stellar is a perfect amalgamation of quality products and quality services. Never have I come across a data recovery company who follow up individual cases with such precision and care. They made me feel so special.....it's a good feeling.....retrieving those photos from my Mac system was a near impossible prospect ....I had lost all hopes..... Stellar's Mac Photo recovery recovered all my photos .I repeat all my photos with ease and style.... Great job ..Keep it up. I banked on Stellar after having tried every other software in the market. My son's first steps and his growing years mean a lot to me..I had them all stored in my Sony handycam. When I accidentally turned off the camera while the write process was still on, I knew what was coming but to my amazement Stellar's Windows photo recovery proved to be an absolute stunner. I have recovered all my videos that too from a corrupted memory card....its unbelievable....Stellar has given me back my life. Stellar Mac photo recovery rocks!!!! I have successfully recovered most of my images after using Stellar's product. It's wonderful. I have recommended it to all my friends. Two of my colleagues have recovered their missing images from their SD Card and memory stick respectively and the excellent turnaround time has transformed them into becoming great fans of Stellar. Stellar personifies great products, great software, great services and quality hospitality....reflects an organization where great minds are at work. I am very happy with your product. I managed to restore all data deleted accidentally when using a bootable linux for some maintenance on a ntfs partition. Windows XP did not find any mistakes on the data and everything could be used normally after recovery. no problem. Following I send you the email I sent to the Techinical support thanking for all their help. Dear Sharma, Kumar, Asthana and Singh, problem solved! I got the rest of the files missing thanks to the advance search! I even found files that didn't know that I had still in the disk! Thanks very much for everything, your softward is great! I am glad I bought it, because for sure the data I recovered cost much more than the price I paid. 100% satisfied. Stellar Phoneix Fat Data Recovery is magic! I hope that helps. Yes, I recovered the importend part of my lost data sucessful. I used your Software Linux Data Recovery on a ext3 Partition. At first I was wondering, that it is a windows software for a Linux file system and was happy to the very fast parts of my lost data. After few tries I was able to recover some files, but all of them has a file size of zero bytes. I tried again and could recover in a second step the first files. I was happy. After the 4th day trying and doing I was able to recover the most importend data for me and could intergrate them into a new installed Linux system. Thank you for your great software. I will still keep it in my mind. Another question - I recovered my data on my office pc in the company I am working for. Now I do not need the software anymore and would like to delete it and install it on my home pc with the license - is this possible ? I think it was mainly my fault that I got frustrated with the activation process for so long. I was confused between the Data and File Recovery versions. In the end it did recover the folders which we were desperate to see (employee had left and thought he had cleaned out all his current data). "I can't get anything better than this, what a speedy recovery it had provided... I got all my all my audio and video files back." it recover all my mp3.."
I have never thought of that i would have my deleted songs back from my iPod. Stellar Phoenix did it... saved my music collection of over more than 2 years." "Just wanted to thank you for how well your software performed. I managed to recover three completely unplayable rare audio CDs, which I believe had deteriorated due to the use of self-adhesive labels by the not-very-widely known musician who recorded them back in the 1990s. I now have three perfectly playable copies of these albums again! Many thanks!" My daily expense sheet was not responding to my commands. It hanged up! i tried your software and in few clicks I was again able to work on my file.. nice utility..
"No question, just praise: this works very well. We tried everything to recovery... The trial version allowed me to see what we could recover .... This program is fly. You are really great, sure the best. Best products but, first of all, your collaborating are in all situation kind and gentle. I was in a dizzy when my 200 slides business presentation got corrupt last week. But thanks to Stellar Phoenix PowerPoint Recovery. The application repaired all my corrupted files completely and systematically. I am really impressed with your PowerPoint Recovery Software. Undoubtedly, it is the most powerful PowerPoint Recovery software designed till date. Thank you so much for recovering my precious data. Your company and support is truly awesome. I will surely suggest this software to my friends. I tried many softwares for repairing my ppt and pptx files, but nothing worked. But, when I used your software, it gave me excellent results by repairing all my corrupt files, which I thought would never fix. Thanks a ton!! Your product did it and it did it great. Thanks. 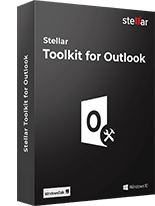 I have already suggested the software to all my clients..
My Outlook Express Inbox exceeded 2GB in size and Outlook Express suddenly showed zero messages in the inbox. Fearing I had lost all my important email, I copied the inbox file to a temporary folder. I then purchased Stellar Phoenix Mailbox Standard. After installing I put it to work on the saved file and like magic it recovered all my messages. Great product! Thank you for your email. With regards to your product the stellar products I purchased did in fact scan the system for lost pst files and was able to recover a few of the items requested. Thank you for your follow up. I purchased this software product on behalf of my client. I offer technical support services and was able to use your product to successfully repair and recover his mail items from a corrupted PST file. Below is a testimonial you can use if you wish. "Your product is top notch and reasonably priced. It works just as promised and saved the day for a client of mine who's PST file had become damaged. We were able to use your PST recovery tool and able to recover 100% of a 2 GB plus PST file. As a professional technical solutions consultant, it was great to have an easy tool like this to use and especially great to be able to have a happy customer as a result of my recommending your tool." Would have replied sooner but I have been trying to get my new PC up to speed, and running stable (its Vista). Your software worked perfectly, and recovered all of my Outlook files from my old PC. I did make one error the first time in not specifying a different location to send the recovered info, by default it sent it back to the Outlook file it came from (the one I could not locate). So I set up a folder on my desktop and sent the recovered files to that. All I need to do now is import the recovered data into Outlook on my new PC, which I shall do once I am sure all is stable, hopefully in the next couple of days. Your recovery software certainly did what it said it would, I would have no problem using your products again in the future, should the need arise. I am happy to provide your company with a testimonial as your product has retrieved a large part of my Outlook pst file which had information going back over the past 18 months. It has certainly saved me a lot of grief! I had not backed up my Outlook pst file (foolish I know) and when my hard disk crashed I thought I had lost everything. Scanpst.exe could not get into the file to attempt to correct matters. Your product saved the day so congratulations to you and it was worth the money! The application did exactly as described and needed. I was able to fix and recover all the data in all the .pst files and was able to complete the project in the necessary time frame. The impact of the corrupted files could have cost my client many tens of thousands of dollars in fines if I was not able to recover the data. The corruption was not due to anything the client did, but that would not have mattered in this case the client would have still been liable. The installation and functionality is simple to the point a novice can use it right out of the box. This application has already paid for itself in the first use. We had a SharePoint content database become corrupted, and we weren't able to re-attach the database. Major work had been done in SharePoint that day, so our last full backup was too out of date. The Stellar Phoenix SQL recovery tool recovered the entire content database, and we were able to re-attach it directly into SharePoint. We lost almost nothing! Wish I has found this tool sooner! When our data was lost and we were losing hope fast, as a last resort we contacted Stellar Technical Support Department We were impressed when we got professional and prompt response from Stellar Technical Support Department. We were not expecting much in data recovery as we have already got apologetic answers from other support services whilst we contacted Stellar Technical Support Department. To our utter surprise Stellar Technical Support Department not only recovered the data but had done their job with great efficiency and without making lot of promises in the beginning as others do. After they (Stellar Technical Support Department) recovered our honored customer's precious data, we were truly happy and feel very lucky that we contacted Stellar Technical Support Department at the right time. We would definitely recommend Stellar Technical Support Department to our customers. 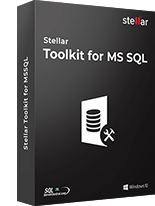 Stellar's MS SQL Server Database Recovery is a product that delivers the best by asking for the least. Can't imagine that a quality product like yours can come in $99 when your competitors are charging a fortune and delivering nuts. It has not just retrieved my tables and views it has given me my life back. I had spent months on making them. Thanks a ton. I have recommended your product to all my friends and colleagues. …THANK YOU!THANK YOU!THANK YOU!THANK YOU! I put about 100 hours of hard work into an Access database and was putting on the finishing touches. I received a horrible message stating "Access Has Encountered An Error- Your work may be lost" - I could not get back into the DB and the copy/repair backup didn't work either.... I was deeply traumatized that I didn't have a current backup and all my hard work was lost. Desparate, I downloaded your Acccess Recovery Tool and ZING! My database is back and zero effort has been lost. I can't thank you enough. Your product is simply amazing. You made my day!!!!! …I purchased your product and used it to recover a very important Access Project. It worked great. I could not be more pleased with this product. It saved me many hours of manually rebuilding my project. I highly recommend this product to any users of MS Access. …..your product is so reasonably priced, I decided to invest in it completely right from the beginning rather than looking around with other download products which may or may not solve my problem…. … I was able to get this new program to work properly. It is a miracle. I was able to recover all my reports and queries which I thought I will never be able to recover…. I will recommend you to a friend. Stellar Phoenix Database Recovery For MySQL Software!!! Fabulous product fabulous technical support to guide one through the software. Never before have I come across such great service. You are efficiency and perfection personified. Do you know that you have devised a wonder product? Your product did an excellent job. It has been the best experience we have had using data recovery products. I would recommend your product to my clients without hesitation. You never know when any crashed is happen in your computer , this is happens to me more than twice resulting data lost, Two times I buy a data recovery software for my data and successfully recover all data but what is the alternative for data recovery software than I decide to buy Stellar Smart which gives me early warning for forthcoming hard drive problems which saves my data and money both. This is amazing. I used Stellar Wipe Professional for windows for the first time and found it a real gem. It wipes off every bit of data from the system. I would recommend it to all. My system contained a lot of trash and some secrete photos and files which I was not able to search any way. I used this software to wipe off the entire hard disk. I knew I dint want those secrete documents to go public. Thanks to Stellar Wipe Safe file Eraser. I am too much attached to my Mac system. I wanted to destroy all proofs of my internet activities and found difficult do to of my own. Thanks to Stellar Phoenix Wipe Macintosh. This software does wonders. Thanks to Stellar Wipe.